My week with the CHL conservators is quickly coming to a close and I am sad. 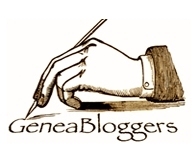 I am so impressed by people who are natural mentors and truly enjoy it. Katie, Russ, and Chris are so great. Everyone that comes to the lab is lucky. Conservators and Collection Care specialists from other buildings and departments visit regularly and try to learn techniques to better themselves and the Conservation staff are always happy to share their knowledge. A beautiful thing. So lucky am I. Today they gave me my super hero name: Kari the Archiventurist! This morning I asked to make another four-flap enclosure in order to get a little more practice. Russ, the Photo Conservator, watched from a distance and only rescued me once….maybe twice. The easiest machine to use in the lab. Fwooop! Rounded corners! 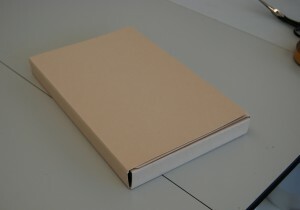 Unlike my first enclosure which was tiny and for a sound recording, this one was large and for a very fragile book. The top flap stays closed with self-adhering velcro buttons. Next, we visited one of the buildings on the downtown church campus to check the textiles and artifacts for fading in a display case . One of the cases will need UV filters on the lights. 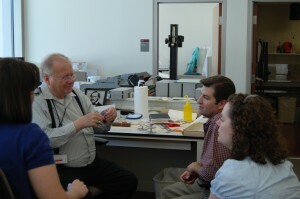 After lunch, two of the Church History Museum staff, Anna and Scott, came to the Lab for a lesson on film developing. Russ was teaching us how to open a cartridge of film and roll it onto a spool with our eyes closed so that we would be ready for the dark room. I try to wind the negative evenly and loosely onto a spool. Luckily, it was time for Thomasina and I to go to the AV Lab and the rest of the class entered the darkroom without me. Andrew, Erica, and Scott gave us a great tour. 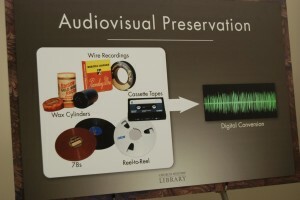 The display counter demonstrates some of the many forms of sound recordings that the CHL maintains. 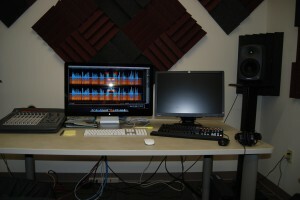 Some of the challenges involve maintaining the playback equipment and some involve storage of the media. Wax cylinders melt, wire recordings tangle, acetate tape erodes, polyester tape gets “sticky.” We learned a lot. 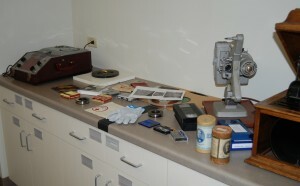 The wire recording player is on the far left and the wax cylinder player is on the right. Andrew played a wax cylinder recording for us. Next, Andrew demonstrated a wire sound recording. The wire is as thin as hair. It can easily get tangled if the machine malfunctions or someone plays with it. 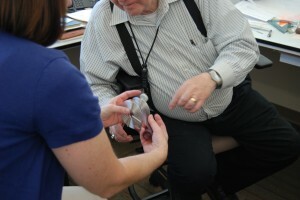 Then we went into the actual lab to listen to and see how recording samples can be repaired. What equipment. What software! We watched and listened to repaired and salvaged AV samples. Amazing. Some of the audio samples were from the 1800s. 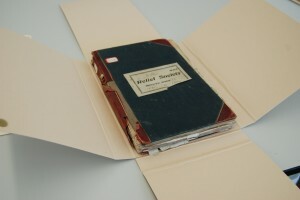 Some of the video samples were made on highly combustible nitrate film. That film is what prompted the invention of “safety” film. When we returned I began making a clamshell box. I’m trying to go solo on this one. If there are no pictures of it, tomorrow, you’ll know how THAT story ended. This is the Archiventurist, signing off. 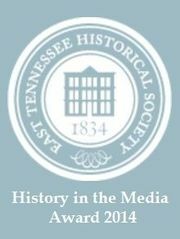 This entry was posted in Conservation and tagged audiovisual, boxes, four-flap, preservation, Russ. Bookmark the permalink. What a great adventure! I’m so happy for you! Also, I forgot that we hlike the same soda as our favorite! Two peas in a pod and we keep wearing similar outfits. What can I say, we have good taste! Wow, Kari!!! This sounds so much more fun than your “adventures” in HTML last summer! LOL 😀 You even got a superhero name! Glad to see that you are enjoying your time there.